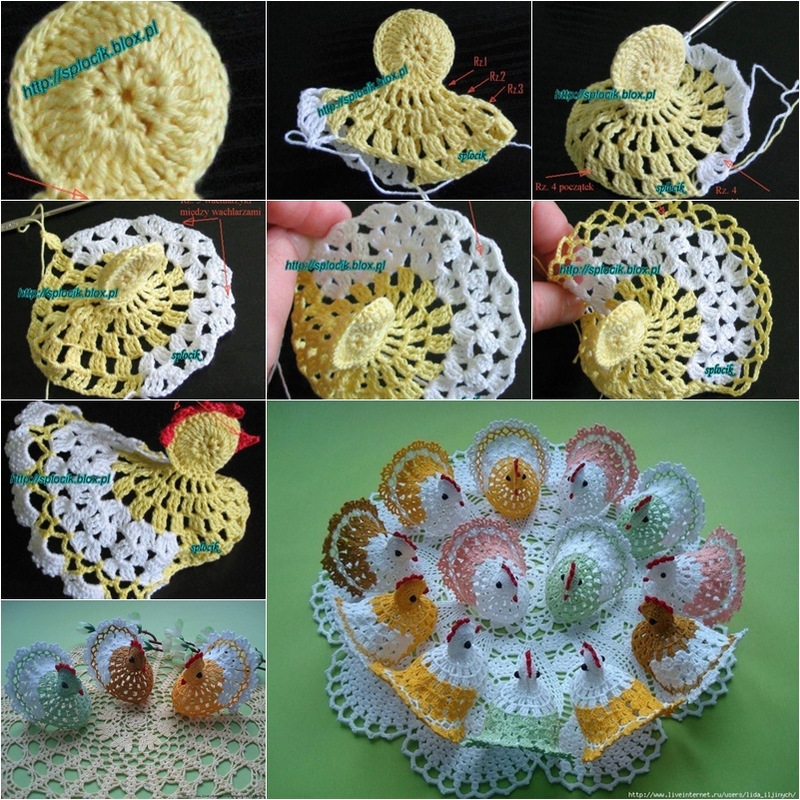 Let’s add some cute crochet chicks for Easter, we can shape the body of the chick in a real egg size, really amazing project we can do now. 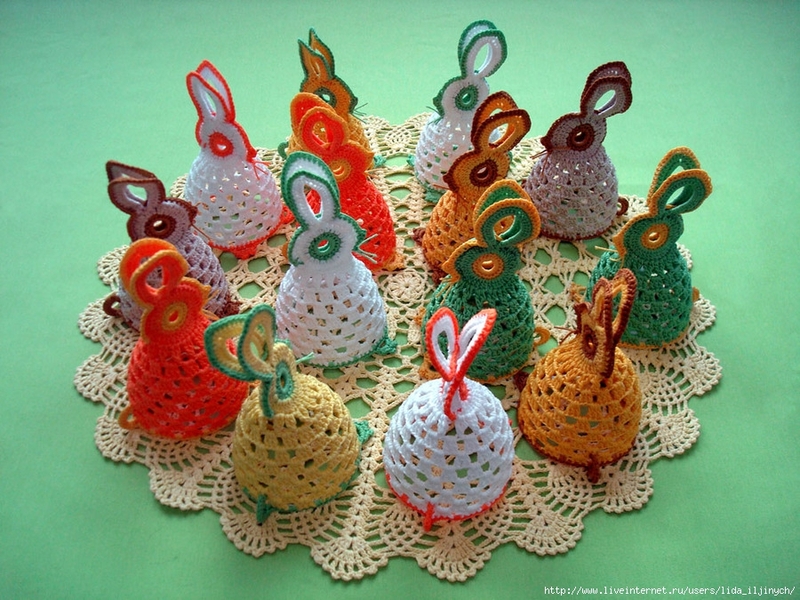 Or crochet the bottom into circle and add long ears as bunny, both are great for Easter decorations. 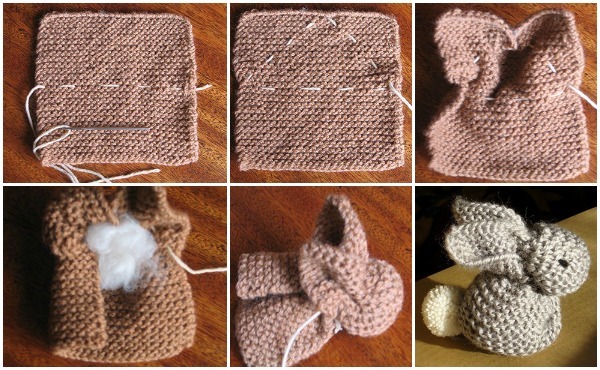 How about this cute bunny for Easter, knit or crochet a square is easy.